Our gorgeous pool lies in the perfect spot for enjoying the afternoon sun. Relax in a lounge chair and gaze out on the picturesque Santa Cruz mountains. Or exercise in comfort - on your schedule - in our air-conditioned fitness room with high quality equipment. The complex features two entrances - one on Mount Hermon Road, one on Glen Canyon Road - for convenient access from any direction. Adjacent to this second entrance is Camp Evers Fishing Park, offering picnic facilities and creek-exploring fun for all. 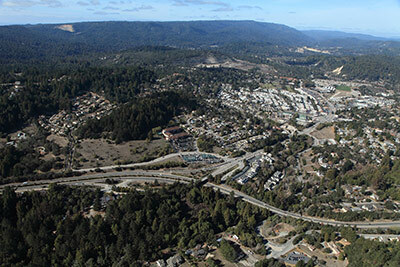 With a population of approximately 11,000, beautiful Scotts Valley maintains its small-town feel while being close to just about everything: both Santa Cruz and Silicon Valley, both the mountains and the beach. 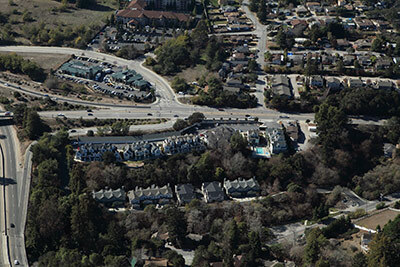 Though Scotts Valley offers an easy commute to San Jose and the rest of Silicon Valley, its high-tech job opportunities keep many residents in town, and its distinctive schools make it an attractive destination for families. Just five minutes from Scotts Valley, Santa Cruz is known the world over for its breathtaking landscape and casual, friendly atmosphere. Surfing, sunbathing, shopping, studying, even Shakespeare are all integral to this eclectic and progressive community - the home of UC Santa Cruz, a vibrant and dynamic culture, and some of the most spectacular sights (and waves) in the world.